The shows kick off November 20 in Helsinki, Finland and finish with a triumphant stop at the the band's birthplace in Birmingham at LG Arena on December 20th. Tickets will go on general sale this Friday, April 12. 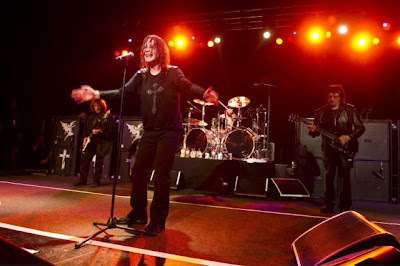 “13” was recorded primarily in Los Angeles and features three of the four original members of Black Sabbath - Ozzy Osbourne (vocals), Tony Iommi(guitar) and Geezer Butler (bass) - who were joined at the sessions by drummer Brad Wilk (Rage Against The Machine). Produced by Rick Rubin, the album will be released on June 11th.